Walmart, America’s largest private employer, plans to hire hundreds more truck drivers in 2019 while boosting the pay of its current drivers. Walmart added 1,400 truck drivers to its 2.3 million-strong workforce in 2018, joining the hiring boom that added over 2.6 million jobs to the economy that year. Starting February, the company will also increase its drivers’ per-mile rates and other pay, hiking the average salary to $87,500, Walmart stated in a Jan. 23 release. Less than 200,000 Americans applied for unemployment benefits in the week ending Jan. 19, the least since 1969, according to the Bureau of Labor Statistics data. When adjusted for population, the jobless claims dropped to another historic minimum, below 61 per 100,000, breaking the record of a bit over 61 set just 18 weeks ago. “If you’re looking for good news on the economy, look no further than the labor market,” said Jim Baird, chief investment officer at Plante Moran Financial Advisors in Kalamazoo, Michigan. 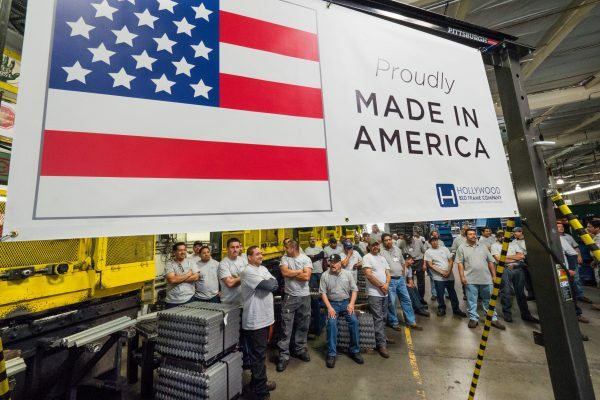 Workers at the Hollywood Bed Frame Company attend an event to mark the company’s upcoming expansion which will double the manufacturer’s workforce.